At Di Candilo Steel City, we have three state-of-the-art laser cutting machines we use to cut stainless steel as well as aluminium and carbon steels. Our facility in Bayswater operates a small 1.5m x 3m machine, a large 2m x 6m machine and a new 1.5m x 3m Fibre laser machine. All of our machines are operated and controlled by our highly skilled team of cutters and programmers. As part of our laser cutting services, we have the ability to cut steel products up to 2m wide by 6m long. We utilise a TRUMPF TruLaser 5060 laser cutting machine, and we have just installed a third TRUMPF Fibre Laser machine to assist with customer demand and product precision. We also use our TruLaser machines to do sheet metal laser cutting for our Perth clients. The TruLaser machines we use are designed to be. Able to cut thick mild steel intricately. Even with the CoolLine function, it’s possible to create small contours in thick mild steel. Inclusive of BrightLine fibres that facilitate part quality and seamless part removal. 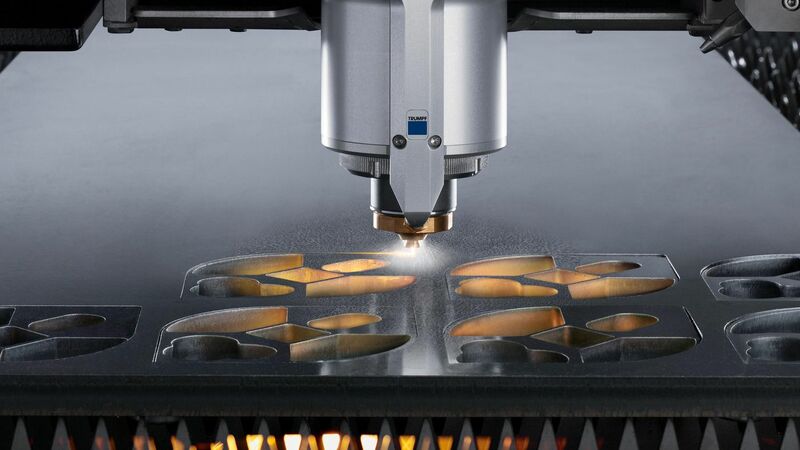 Reliable without relying on microjoints, as smart collision prevention reduces the risk of collisions during laser cutting. Equipped with Highspeed and Highspeed Eco, a new nozzle design which reduces nitrogen consumption by up to 70% for double the sheet throughput. Our team of experts at Di Candilo Steel City are able to provide laser cutting services for clients all around Perth. From the northern suburbs of Joondalup and down to the southern suburbs of Rockingham and Mandurah, we’re able to supply you with the products you need for your next project. Contact us today for a quote by giving us a call on (08) 9279 7244.